Are kids reading enough these days, or are they spending too much time in front of the screen? A recent report from Scholastic showed encouraging results – more than half of kids aged 6-17 like reading books for fun, or at least think it’s important. Even more (86 per cent) enjoy having a book read aloud to them at home. But what can we do to have even more kids turning the pages? Tasmanian children’s author Anne Morgan has a few ideas. Her latest book The Moonlight Bird and the Grolken was launched earlier this year, and she takes some time to reflect on her work and offer her views on the importance of books in a child’s life. 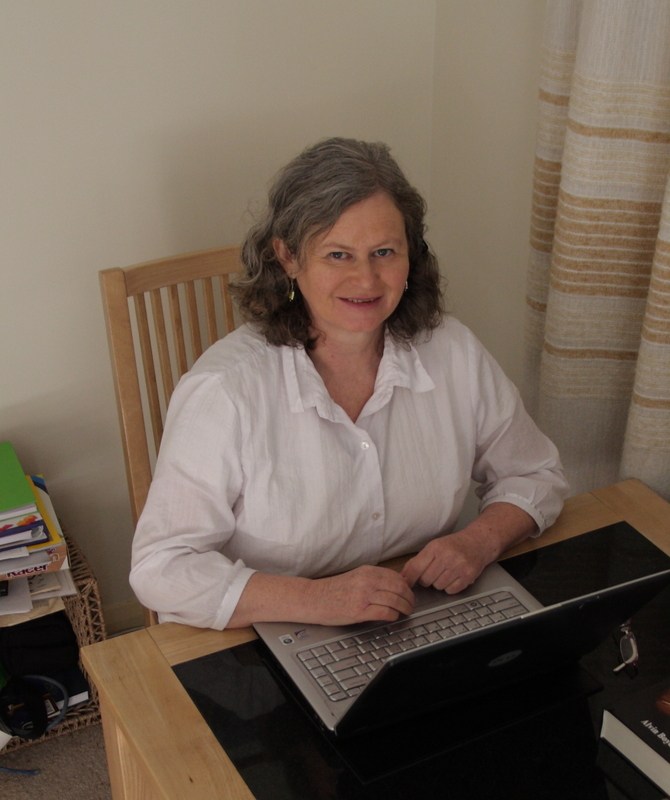 She’ll also feature as one of our tutors in the free Children’s Creative Writing Workshops this school holiday. What interests you about writing books for children? Most children are playful and have boundless imaginations, so writing for children provides infinite scope for inventiveness in language, character, plot and settings. The playful elements of writing for children appeal to my younger self but there are problem-solving challenges that appeal to the older me. I enjoy creating imagined worlds, building them from a single phrase, image or concept, peopling the worlds with engaging characters, adding dangers, and giving my protagonists a problem to resolve by the end of the story. Another challenge in writing for children is not to become mired in detail – young readers have little tolerance for verbosity. Action needs to drive the story forward, as in a screenplay, so linguistic economy is crucial to success. Overcoming these technical challenges and achieving publication, then having children and adults tell me they enjoy my books, can be very satisfying. I also enjoy mining children’s experiences for raw material which can be comic, poignant or both. Writing for children encourages introspection, allowing me to delve into my own psyche to explore my early fears, wonders and preoccupations. My own children and their friends, and my family of origin have provided me with limitless inspiration for writing. I am also a poet and former drama teacher and professional actor, and have developed an ear for speech rhythms, accents, dialogue and the nuances of spoken language; so much so that in recent years I have come to regard writing for children as performing on the page. A recent report showed 60 per cent of kids like to read for fun. But what can we do to help every child grow a love of books? Read aloud to children. Reading is an act of love that lays the foundations for a lifelong love of learning. Don’t wait until children are born to start reading to them; the earlier the better. Surround children with books. Buy books as presents for kids. If you have children or grandchildren, take them to visit libraries and borrow books. Make up stories to entertain them and get them to tell their stories to you – and then stand back and observe the miracle that occurs as they learn to read for themselves. Encourage kids to read aloud. If they can’t yet read, let them describe the pictures, retell the story in their own words or recite the book from memory. Encourage them to read to younger siblings. Or their pets. Or toys. Some children’s brains are wired differently from other people’s brains. Dyslexia is not a product of poor teaching or poor parenting. Dyslexic kids may struggle with the technical aspects of reading, but if they have an abiding interest in books that has been fostered during their preschool years, they will be motivated to acquire reading skills – and motivation is a major factor in educational success. About three-quarters of children who read books have said they’d read more if they could find things they enjoy. What do you think children are really looking for when they pick up a book? Children often don’t know what books they like reading until they find the book that is right for them. The first book they fall in love with will be the key that unlocks the door to a lifetime of reading adventures. There is a plethora of good children’s books on the market these days, but young readers need an informed guide to progress their reading – an older sibling perhaps, or a parent, teacher, librarian or website that can advise: ‘If you enjoyed reading that book, you might enjoy these books as well …’. In recent years, economic rationalists have abolished countless teacher librarian positions in Australia. This is a tragic move, for teacher librarians are the ultimate professional guides to children’s reading. For children to develop into literate, wise, intelligent, well-rounded individuals, they will need far more than an intellectual starvation diet of graded classroom readers, poor TV and ‘shoot ‘em up’ computer games. What inspired the story behind your recent release The Moonlight Bird and the Grolken? I spend a lot of my time on a farm at Adventure Bay, Bruny Island. The farm is on the slopes of Mt Mangana, overlooking wetlands and the Bay. One day I was inspired to write a story about a fairy-like girl who dropped from the sky to the top of a mountain. She danced her way down to the farm and cartwheeled barns and tractors before continuing down through the wetlands and skipping away over the sea. After a couple of publisher rejections I woke up to what was missing from the story. Suspense. So I created a monster. In the second draft, the Grolken stalked the girl, captured her and locked her in a golden cage inside his den. Suddenly my story had taken on a fairy tale quality. But unlike the Grimm brothers’ classic Beauty and the Beast, where Beauty eventually learns to love the Beast, I wanted my Beast to understand that if he loved the girl, he must set her free. I showed my second draft to a friend, Jessie Mahjouri, who is on the state committee of the Children’s Book Council of Australia. Her reaction surprised me. She claimed that the story of a young girl being kidnapped and locked in a cage was too dark, too scary for adults to want to read to children, or for children to want to read themselves. What role does art play in children’s books? That depends on the nature and genre of the children’s book. Sean Tan’s graphic novel, The Arrival (2006) won a spate of major literary awards, although its story did not contain a single word of text. For many other children’s books, the only artwork is the cover. This is because it is cheaper to publish unillustrated stories. Personally, I enjoy artwork in books, provided the artwork does not jar with the text. 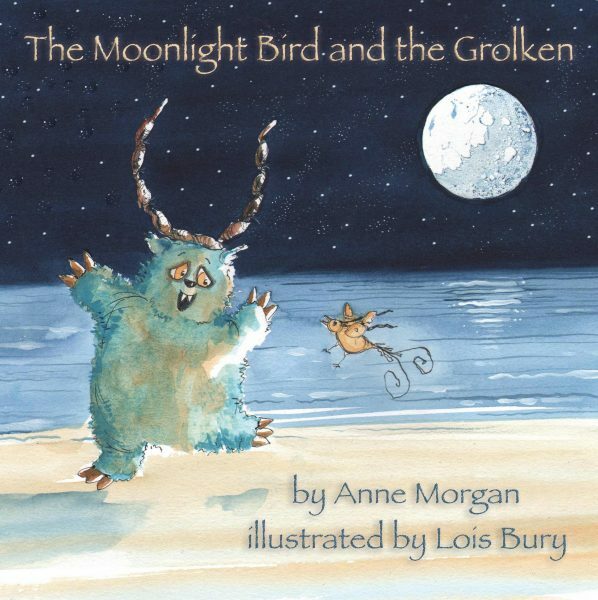 At the launch of The Moonlight Bird and the Grolken at Hobart Bookshop on 5 May, Christina Booth described the relationship between a picture book’s text and illustrations as a couple dancing. When a picture book ‘dances’, the text and images work together, and the dancing couple becomes far more the two individual dancers. I think this is very much the case for my latest picture book. Lois Bury’s intricate and startlingly original images have added a whole new dimension to the text, taking my story to places I had never foreseen. Yet Lois’ illustrations always dance with the text, never against it. Do you feel it’s the duty of writers to teach a ‘message’ or value through books aimed at children and youth? A writer’s duty is, in the first instance, to accept dictation from her muse. Once the first draft is complete, however, the process of getting the work published is another matter entirely. Good publishers shirk didacticism, preferring subtle messages instead. All good children’s books contain coded messages about life. Take the Harry Potter series, for example. No didactism there, but JK Rowling’s books inevitably contain an underlying framework of moral values. Harry (and hence the readers who identify with him) learn what it is to become a special kind of hero – a complex hero who is as scared and vulnerable as he is brave, and who has an unshakeably loyalty to his friends and protectors. Harry faces almost insurmountable odds throughout his various quests, but by the end of the series he has developed an abiding sense of social justice and an ultimate awareness that he will need to sacrifice himself for the greater good. Harry is very much Joseph Campbell’s Hero with a Thousand Faces (first published 1949). It is my belief that a good teacher is not so much a teacher as a midwife of learning. The same can be said of good children’s books. Children learn from reading widely what it means to be in this world. They can learn about fairness and social justice from the world of story; that it is alright to be different, that bullying is wrong, and that they have the power to stand up to wicked behaviour and stop it. Ultimately children learn resilience through the vicarious experiences that reading provides. They also learn what it means to be the right kind of hero, for a true hero is nothing like a narcissistic sports star or the brat pack celebrities who are lionised by our shallow media. Reading helps us all to become wiser, more knowledgeable, more empathetic, more human and more truly heroic. Children can write incredible stories, too. You can read some short stories and poems by last year’s Young Creative Writers Award entrants here. In light of this year’s awards, a series of creative writing workshops will also be held across the state for budding young writers.